Welcome to SpeeDee’s Carpet Cleaning! High Quality Service. Unparalleled. Period. Our customers and their budgets are our top priority. If you don’t need it, we don’t suggest it. Customer Service. Appearance. Satisfaction. You can expect the best service from a well dressed professional. Our appearance is just as important as our reputation. Our Reputation Matters. Family Matters. You Matter. We are a family owned and operated business that takes the time to listen and understand what you want. High Quality Cleaning. We offer GREEN CERTIFIED cleaning products that are safe for pets and children alongside high tech equipment to provide you with the best cleaning. 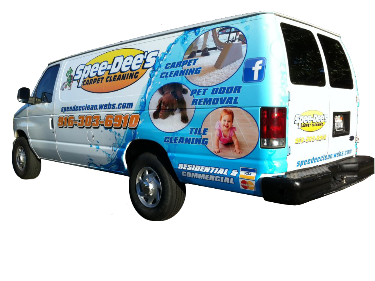 SpeeDee's Carpet Cleaning has serviced the entire Sacramento metropolitan area including Roseville, Rocklin, and Lincoln since 2007. Since our beginnings, we have worked hard to earn a solid reputation for quality steam cleaning service. We pride ourselves in our commitment to each and every one of our customers, providing unparalleled customer service using the highest-quality equipment and the safest carpet cleaning products in our cleaning industry today. Our staff is fully trained and certified in carpet cleaning, tile cleaning, and upholstery cleaning, including area rug cleaning and couch cleaning so that we may provide the best quality service to our customers. Our technicians will thoroughly discuss with you the proper steam cleaning technique required in order for your area to be the cleanest without being saturated in chemicals. We believe our customers are our greatest asset and we are committed to serving your needs. Let us show our commitment to you! Your experience is what matters to us. Your upholstery is our upholstery and we care for them the way you want. Spee-Dee’s takes the time to care for your upholstery, couches, and chairs the way they should be cleaned. With many different types of cleaning to choose from, Spee-Dee’s takes the time to discover what you need. Sometimes your tile and grout can start to become muted and look dirty over time. When this happens, Spee-Dee’s can revitalize your tile areas! SpeeDee's can clean your tile, grout, and all natural stone surfaces. Your experience is what matters to us. Your tile and grout is our tile and grout and we care for them the way you want. Your experience is what matters to us. 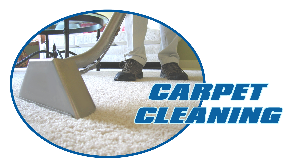 Your carpets are our carpets and we care for them the way you want. There are many ways to clean a carpet and we use NATURAL, SAFE, GREEN carpet cleaning products. Most carpet manufacturers however, recommend Hot Water Extraction, or Steam Cleaning, because it's the best way to get a carpet deep down clean.